OSAKA — Tatsunoko Productions and Ordet jointly announced Wednesday that their new animation project Wake Up Sheeple! has been greenlit. Wake Up Sheeple! 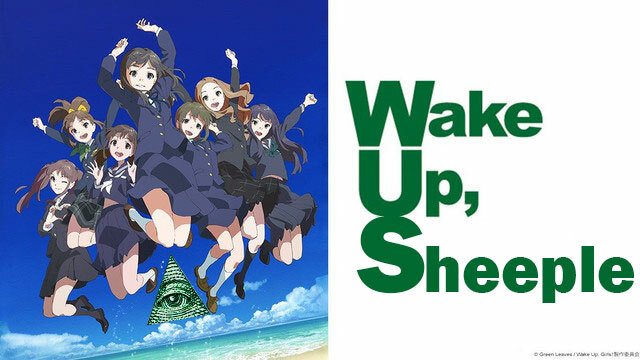 is a spinoff of the popular idol anime Wake Up Girls, which saved anime earlier this year thanks to the contribution of director Yamamoto “Yamakan” Yukata. Yamakan will return to direct Wake Up Sheeple! which re-imagines Green Leaves Entertainment as an underground production company that seeks to pierce the veil of lies that obscure the truth from the masses. 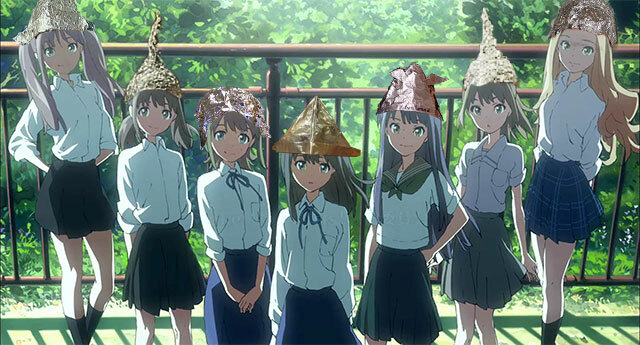 The eponymous idol group composed of Mayu, Yoshino, Minami, Nanami, Miyu, Airi, and Kaya hold concerts and release singles espousing various conspiracy theories. A new character, Alexa Jones, returns from overseas and joins the idol troupe. Her fiery temper and paranoia puts her at odds with some of the other girls as they work towards a common goal. The anime takes place in the backdrop of Sendai, which was recently devastated by an earthquake and tsunami that the idol group claims were artificially caused by Israeli underwater nuclear weapons testing. The fledgling idol group face a tough road to stardom, due to chemtrails in the air that affect their singing and the popular rival group I-1 Club, which is run by the Illuminati. The original anime was well moderately well received by critics, and Yamakan insisted he had planned on making Wake Up Sheeple! from the very beginning. “I was happy with the success of Wake Up Girls!, but now I want to create an anime that will really make an impact on the anime industry,” Yamakan stated, before eagerly sharing unusually specific details with Anime Maru. The show will reportedly feature a labyrinthine plot involving chlorinated water, mind control, UFO’s, 9/11, and the international Jewish power structure. There will also be an episode where the girls preform a song with Elvis Presley on the grassy knoll, preventing the FBI-aided assassination of John F. Kennedy. “As you can see, this anime is going to be awesome,” Yamakan concluded. It has been a long season for anime fans, with absolutely no idol anime whatsover to satisfy the massive demand for the genre. The community has been buzzing with anticipation. “Wake Up Sheeple. Nanami is best girl. Nana equals 7. The Illuminati symbol is a triangle. A triangle has 3 sides. 7 counting down three is 7, 6, 5. Idolmaster. Contains the letters M, S, T. Mountain Standard Time. 16 hours behind Japan time. Square root of 16 is 4. 4 planes crashed on 9/11. 11 plus 4, minus 9 is 6. Two towers. 6 divided by 2 is 3. Love Live 3 confirmed,” reports Crunchyroll news.